You might have seen that with some help from Halfords, Father Christmas brought Ben a fancy new road bike. His reaction on Christmas morning was everything we could have hoped for and my only regret is that we didn’t film him! He was so incredibly grateful and kept telling us “You don’t get a Christmas like this again do you Mum?” – I may have shed a tear or two. Watching my two boys cycle off together on Christmas morning was a pretty special feeling. 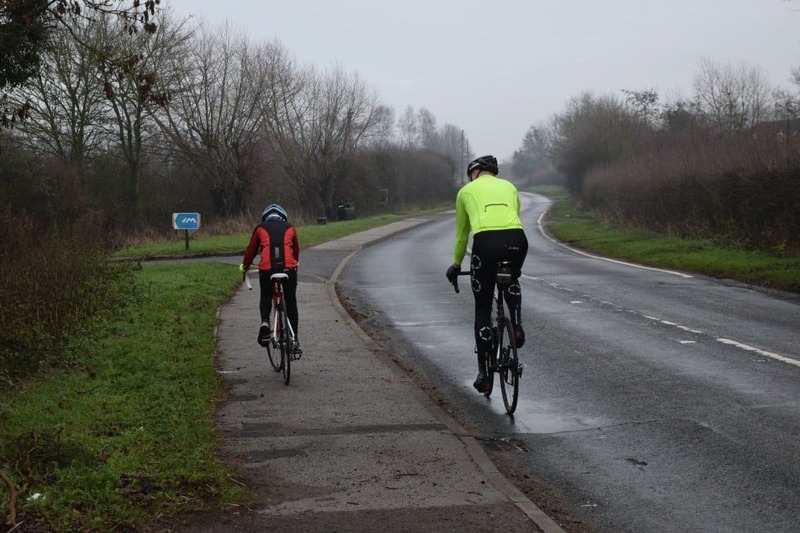 Since then Ben has had a few rides out and I wanted to make sure we record his progress through the year – you can keep an eye out on the hashtag #Benonabike on instagram and we’ll be updating you regularly here too! After the excitement had died down on Christmas day I set the bike up for Ben as best I could. The frame is a little too big for him so that even when I have dropped the seat as low as it will go, and then forced it a bit further, he still has to stretch his leg to reach for the pedals at the bottom of the pedal stroke. This won’t be a problem for long as he’s growing like a weed but it’s not ideal. It does mean the frame will last him for a while which is preferable to growing out of it immediately. After the fitting we went out together for the first ride. 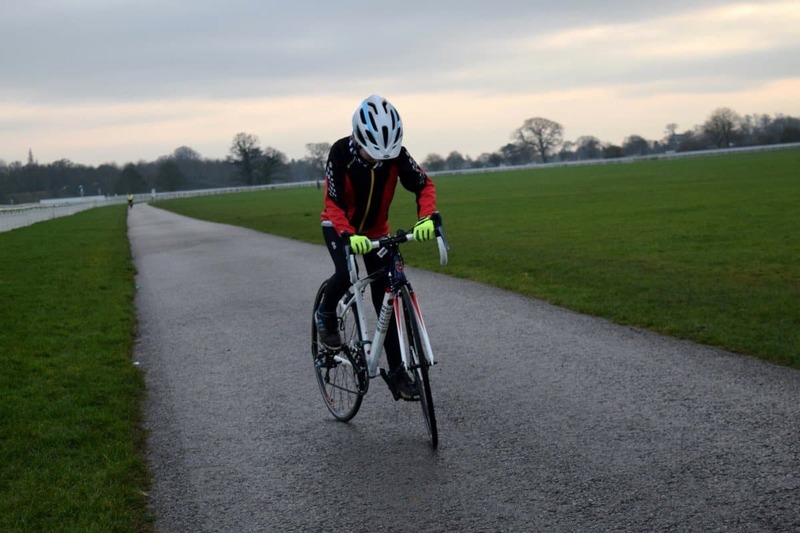 We knew that Ben would be a little wobbly as it’s a new bike and the riding position is completely different from his old bike. Luckily we were in a quiet York village and it was Christmas day so traffic was light on the roads. After a few wobbles Ben got set off and picked up the new riding position really well. I was impressed with how quickly he adapted. We did three miles the first ride and he was wasn’t tired when we got back. He also got to use gears for the first time as his old bike had a fixed gear. Ben enjoyed the gears as it allowed him to go quicker than previously. We averaged just over nine mph over the three miles which was a good effort. 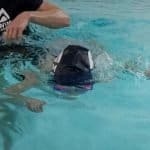 Increasing speeds and gaining confidence! 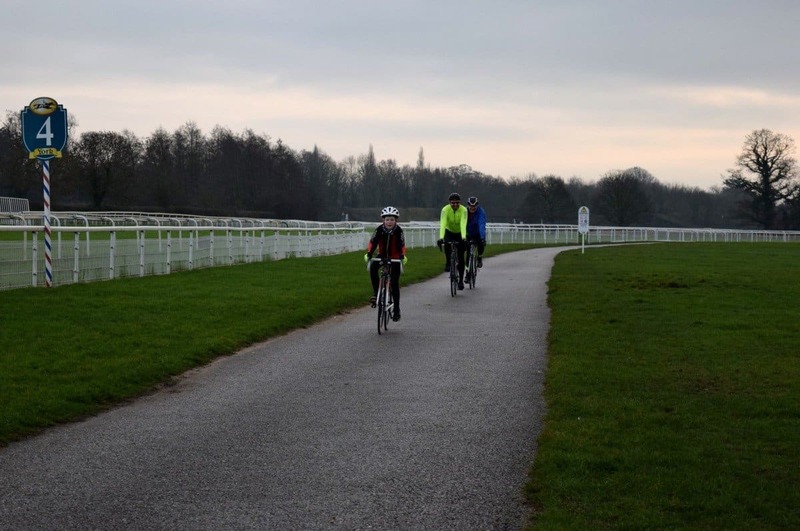 The next day the whole family went to York racecourse as you can ride a flat path around the track. Colette’s Dad and I rode with Ben. It was quite busy but gave the Ben the chance to practice slow control as he passed pedestrians and dogs a plenty. We did another three miles and Ben reached thirteen mph at one point which was pretty impressive. Tackling hills for the first time. Our next ride was back in Manchester. Now the roads around our house are a different beast to the ones in York so we stuck the bikes in the car and headed to a nearby park. This will be the plan for a while until Ben gets some miles in to make sure he’s steady and comfortable on the bike. 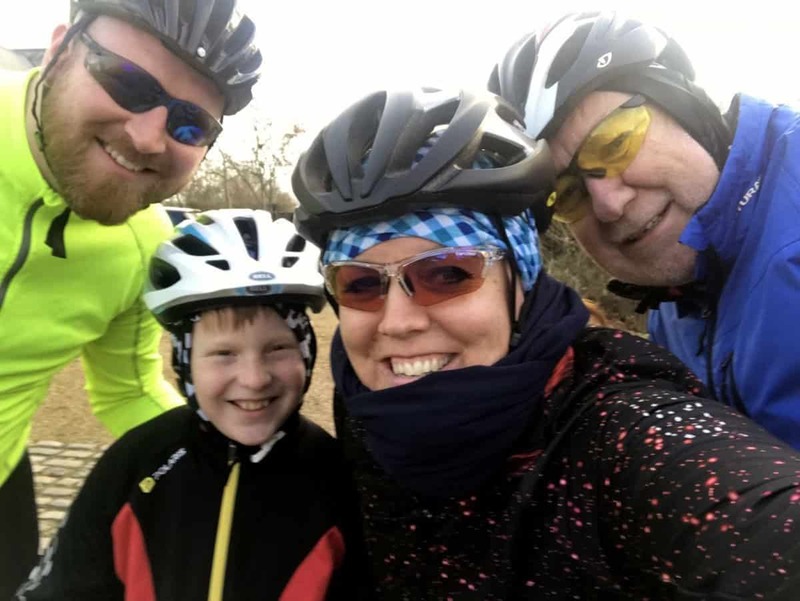 Now, any terrain around our house is hilly so we tackled a few mini climbs which gave Ben the chance to really use his gears and appreciate the difference they can make. It was whilst travelling down a slight hill that we discovered that Ben can’t quite reach his brakes properly from the tops of the handle bars. He can get a finger on them but not enough to really grip them a put some pressure on. Disaster was narrowly avoided which I think knocked his confidence a bit. We spent the rest of the ride avoiding descending any of the steeper hills and practising moving between the handle bar tops and the dropped section of the handle bars so he could get more purchase on his brake levers. It was while descending a small twisty bit that Ben caught the edge of the path and fell off his bike. No harm done, he leapt back to his feet only for me to realise he had rolled through dog muck and it was now all over his clothes! As I didn’t have anything with me to clean him up I had to tear leaves off a nearby bush to wipe the bulk of the nasty stuff off him before we returned to the car! Ben had to strip off before I let him back in the car. Surprisingly, this incident did not put him off riding! He’s resilient that boy. 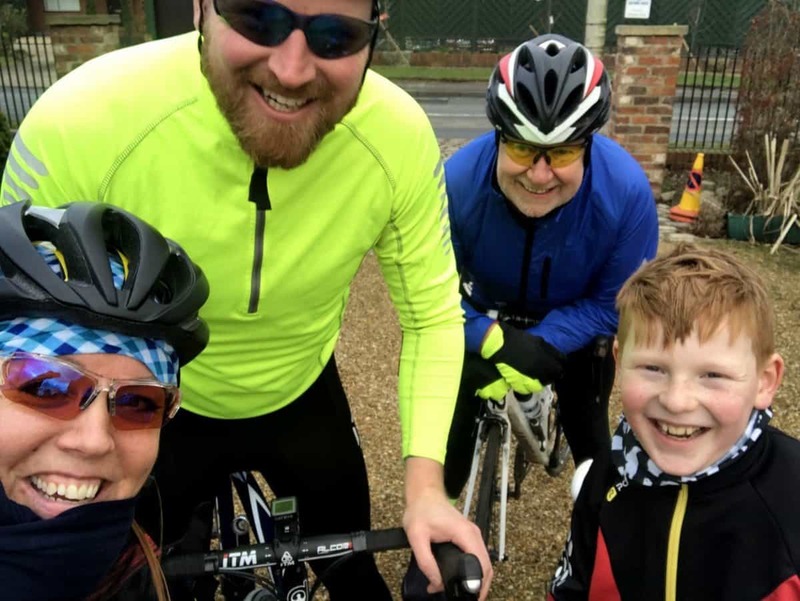 Our furthest ride was back in York with Grandad and Aunty Nic – this was a ride Ben was really looking forward too. Not only was it his first proper ride on the road but his first ride with “the team”. 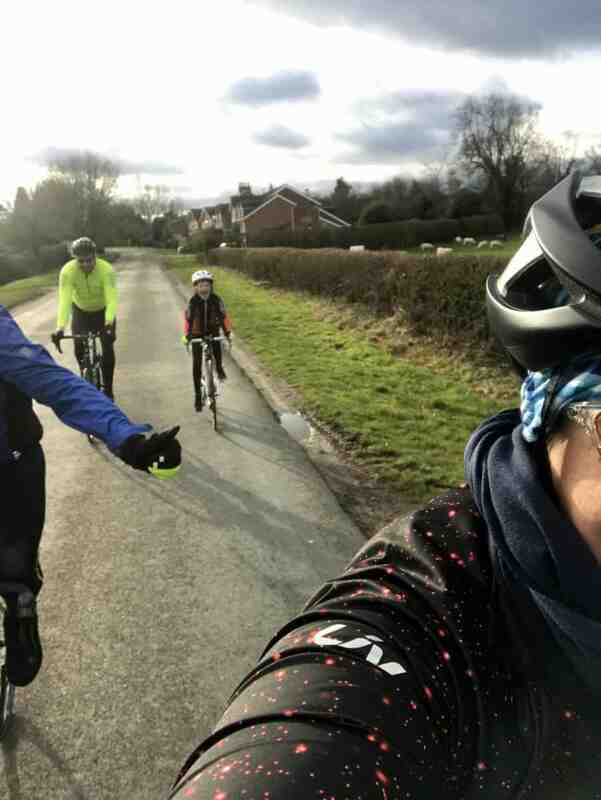 We rode six miles in total, averaging over ten mph which was a really good effort and shows he is already picking up speed as his confidence grows. The plan now is to slowly build his stamina in the saddle and to get him used to a few hours of pedalling. I think we can get him up to twenty miles without too much trouble this year. 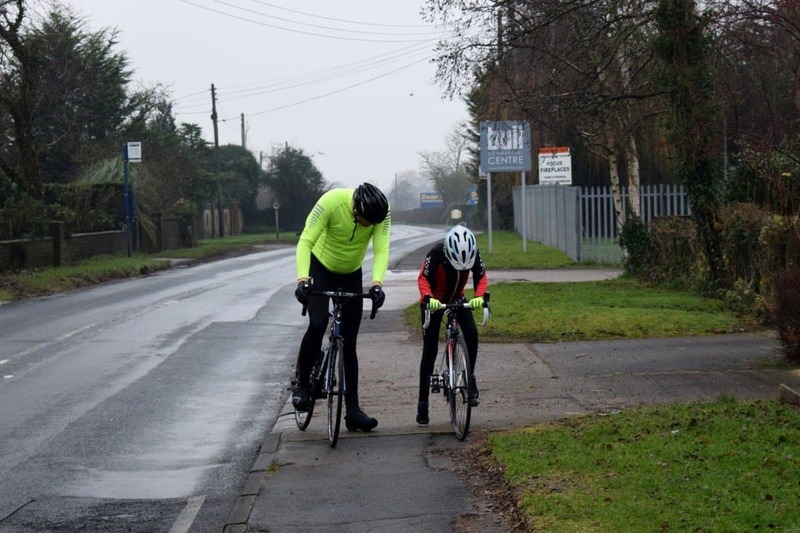 Ben is very keen to do a ‘proper’ ride with us on an organised course. Of course, that all depends on how he progresses through the year but I wouldn’t be at all surprised if he joins us on the Thirsk ride in August. Here’s hoping. We’re both so proud of how Ben has taken to his training so far – I just hope he manages to maintain his enthusiasm!